Traditionally, history is thought to be exclusively taught in a classroom or studied from a textbook. What some may not fully appreciate is how music, literature, and art can sometimes vividly illustrate the past events with a better accuracy than any textbook could ever hope to do. This holds especially true for the rich history, culture, and tradition woven into each thread of Oriental rugs. From the imagery or dyes used in each carpet, to the specific weaving style used to create these masterpieces, owning an antique Oriental rug means holding onto a piece of history itself. 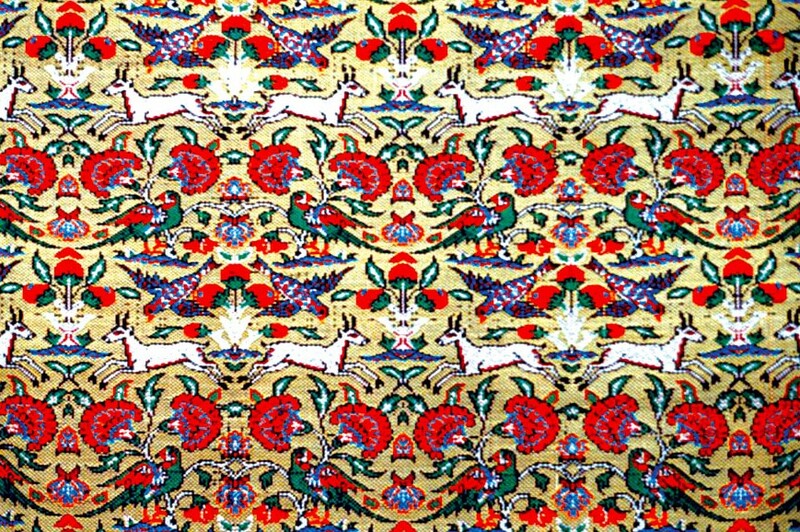 As many of these techniques do not delineate an obvious story, we’ve outlined some of the more interesting techniques used in Oriental rug making that create a window into the culture and traditions of past civilizations. If you’re looking to discover the story behind an Oriental rug, it’s best to get a close look at it – in this case, literally. Many times an appraiser will be able to pinpoint where and when an Oriental rug was made based on the weaving techniques that were used to make it. For example, some of the most popular types of knots used to create traditional Oriental Rugs include Senneh knots, Ghiordes knots, and Jufti knots. While most weaving regions use the Senneh knot, other areas like Iran utilize Jufti knots, while northwestern Iran, Turkey, and Armenia traditionally use Ghiordes knots. In various art forms, colors are used to invoke specific emotions. This artistic technique holds true even for Oriental rugs. Just as painters painted with certain colors to tell stories in their creations, acclaimed weavers utilized different colored dyes to create their own statements. Depending on the dyes used, weavers would attempt to blend emotions like passion, purity, and power into their design. These designs would then be coveted by collectors in order to accentuate certain kinds of atmospheres in a home or establishment. At first glance, it could be speculated that the designs used in Oriental rugs were selected based on aesthetic alone. Upon closer inspection of the designs and symbols incorporated in Oriental rugs, however, it becomes clear that certain symbols could indicate anything from happiness to fertility to wealth. Utilizing these designs, weavers of Oriental rugs could craft stories in the same way that many famous authors could. The following chart depicts some of the more common symbols found in Oriental rug design. After fully comprehending the artistic design lovingly woven into each Oriental rug, owning one of these carpets stops being just about home furnishing, but about holding onto a piece of tradition and culture itself. If you’re interested in learning more about the history of Oriental rugs, read about the biggest trends in Oriental Rugs on our blog, or request a consultation for a rug appraisal in the near future.